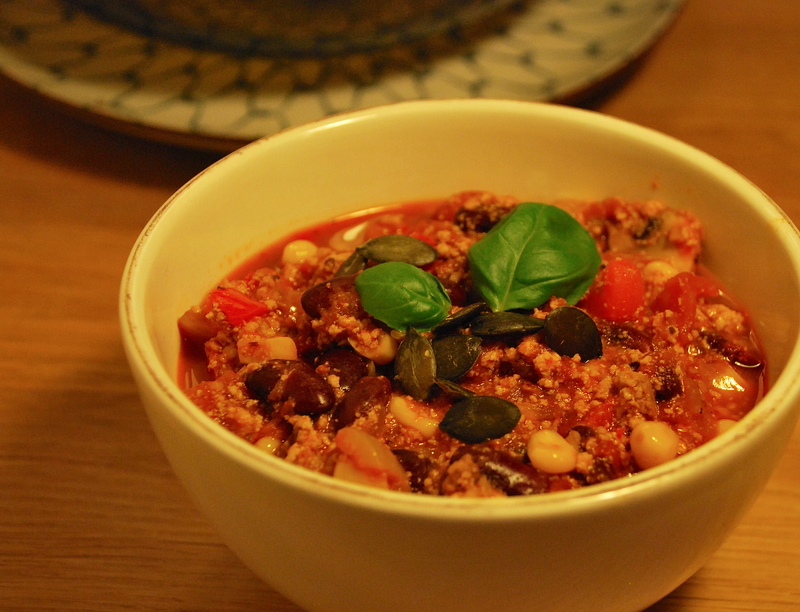 Chili sin Carne con Vitality | vegänsch. 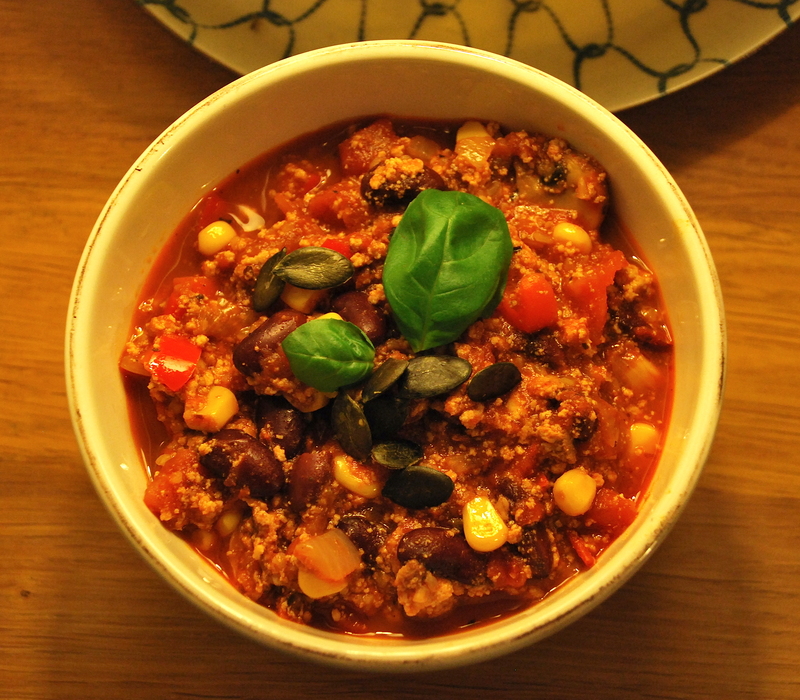 It’s finally winter in Berlin and I was craving a bowl of warm, healthy and delicious food after work when I had to think of Chili con Carne. I haven’t had it for ages and never did a vegan version by myself, so it was time to give it a try. This one here is free from processed foods, additives or other artificial flavours – instead it is filled with delicious veggies, tofu and spices. It only takes about 20 minutes to prepare and is super simple. Before you start: You can check out a one-minute cooking video of this recipe here :) Start with heating some oil in a big pan and add the chopped up carrot and onion first. Take the tofu and crumble it with your hands into the pan. Season with soy sauce, chili paste and pepper, then stir and fry until it becomes golden. 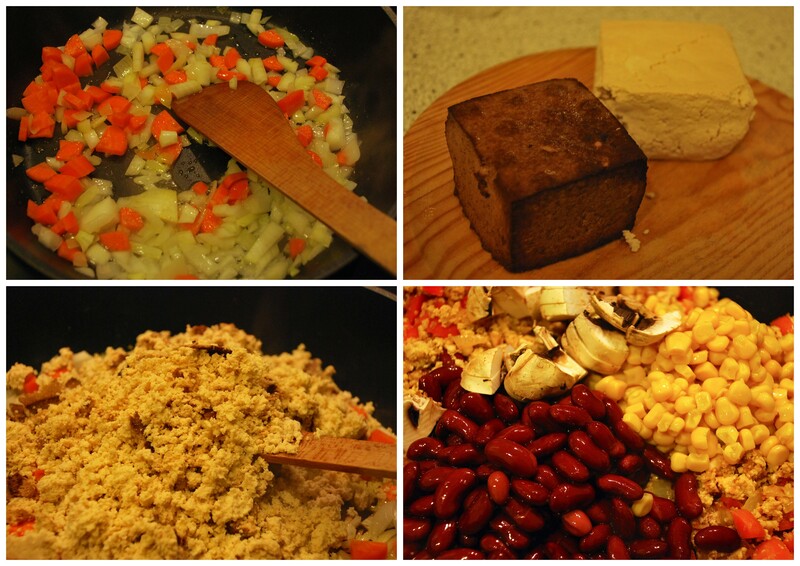 Add the spelt grain and the rest of the vegetables like corn, pepper, mushrooms, garlic and kidney beans. Fry for a bit, then pour in the tomatoes. 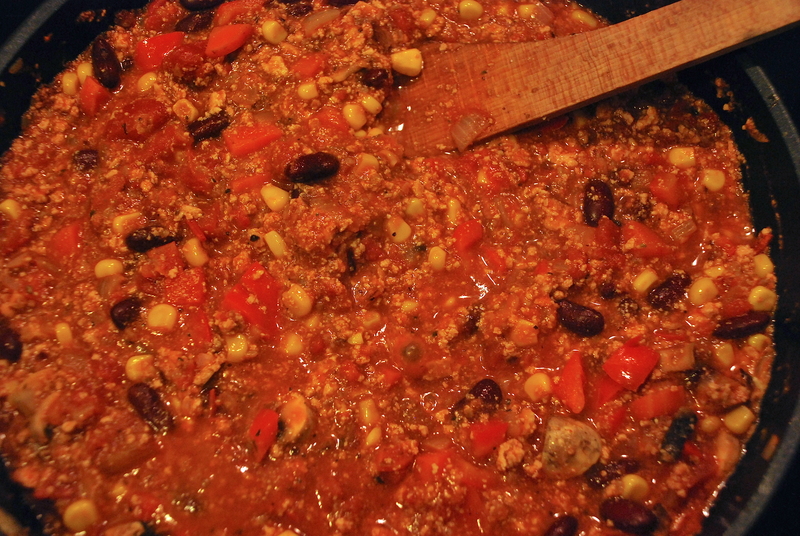 Stir well and let simmer for a few minutes. 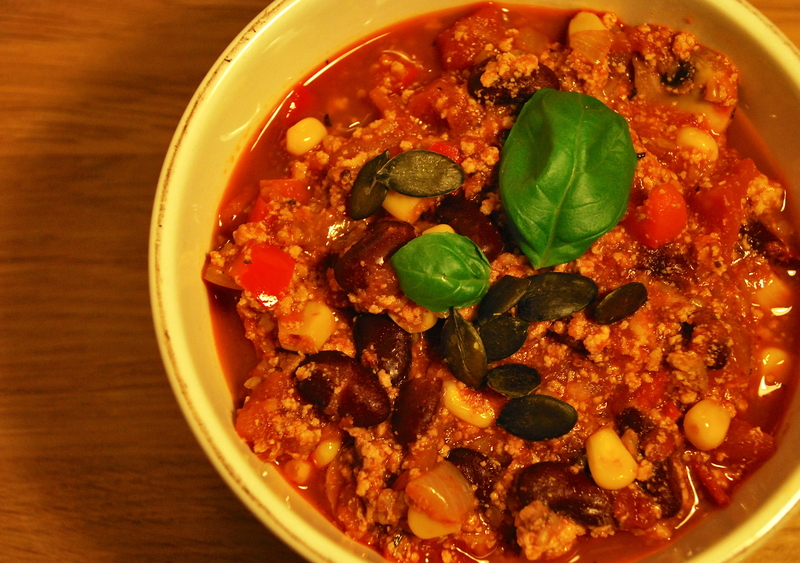 Season the Chili with 1 teaspoon of mustard, a shot of vinegar and lemon juice, chili paste or flakes, coriander seeds, pepper, salt and herbs. Stir well, let sit for a moment and serve. 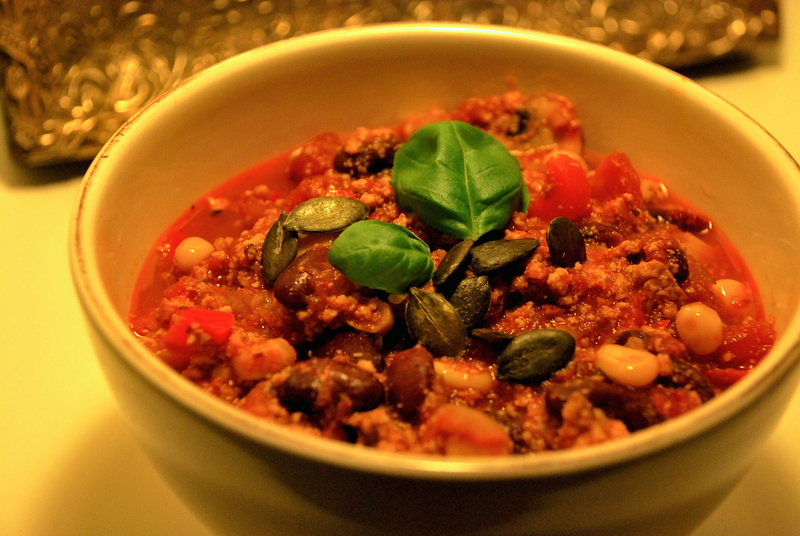 Add some pumpkin seeds and fresh basil to taste. Buen provecho! /Thanks for reading! If you like my stuff (or have suggestions), feel free to like, share and/or leave a comment. You can also join me on Facebook. Every like & comment welcome!